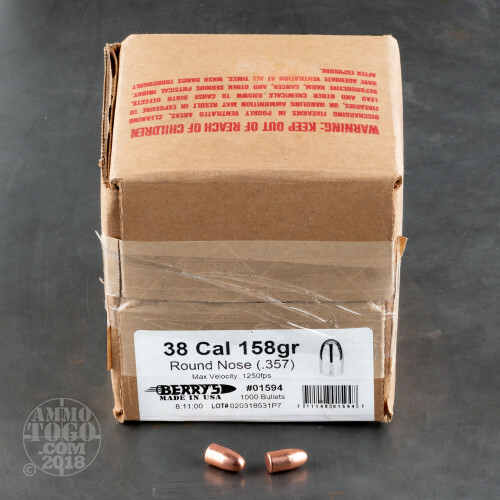 If your goal is to save money by "rolling your own" practice and range rounds then you'll be delighted by this 1,000 count box of .357 inch diameter projectiles from Berry's! 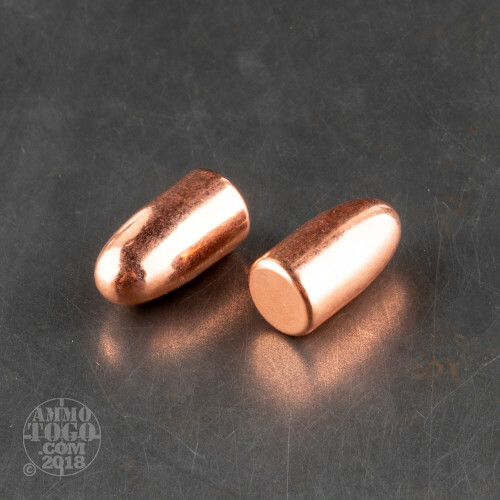 These inexpensive bullets defy conventional tropes about copper plated bullets and possess a hard coat which feeds well, doesn't pit easily, and can withstand speeds up to 1,250 feet-per-second. This durability is achieved via Berry's construction process which takes swaged lead cores and electrically charges them so that the copper plating clings to the bullets' bodies. Each projectile is then "double-struck" and resized to achieve precise measurements which are compatible with modern reloading data tables. These bullets have a weight of 158 grains which is common to both .38 Special and .357 Magnum calibers; that means there are many successful recipes available for new handloaders to follow. Each bullet possesses a round nose for seamless cylinder loading by hand, from a speed-strip, or with the use of a speed-loader. The bullets are also plated on their rear base so that very little lead is left the revolver's barrel or the shooter's lungs. 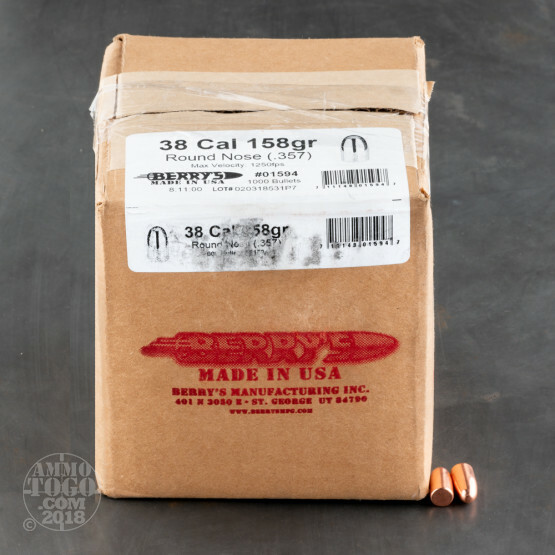 Berry's has been a trusted manufacturer of plated projectiles since 1961. They have improved their line-ups throughout the years and now offer muzzle-loading projectiles as well as unique hard-plating for high velocity loads.